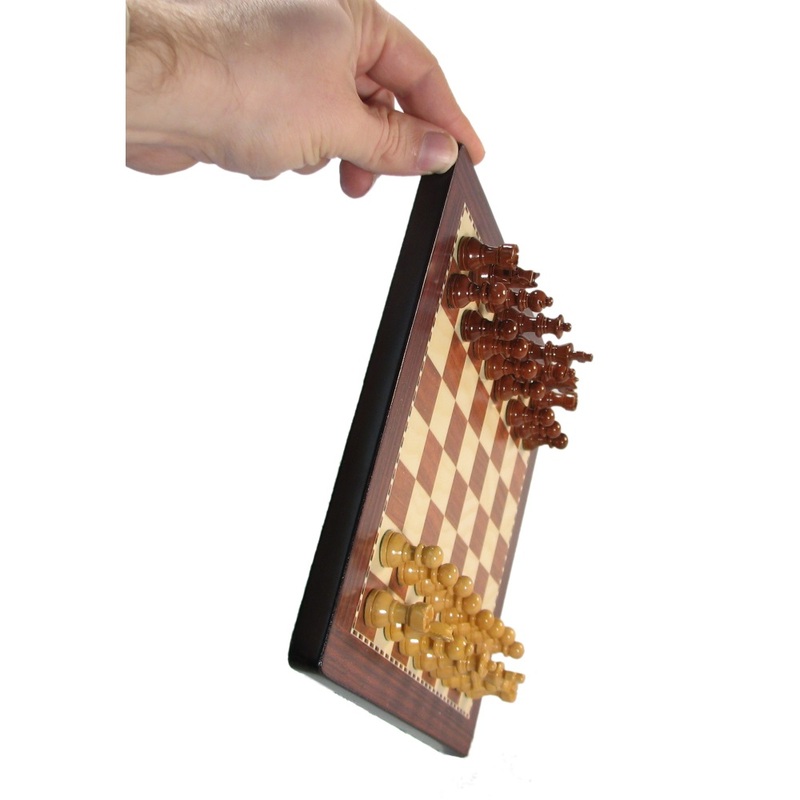 There are a lot of designs of magnetic chess sets due to this popularity. How do you choose the best kind, or what is the best kind? To a degree this answer differs, but not as much as you might think. 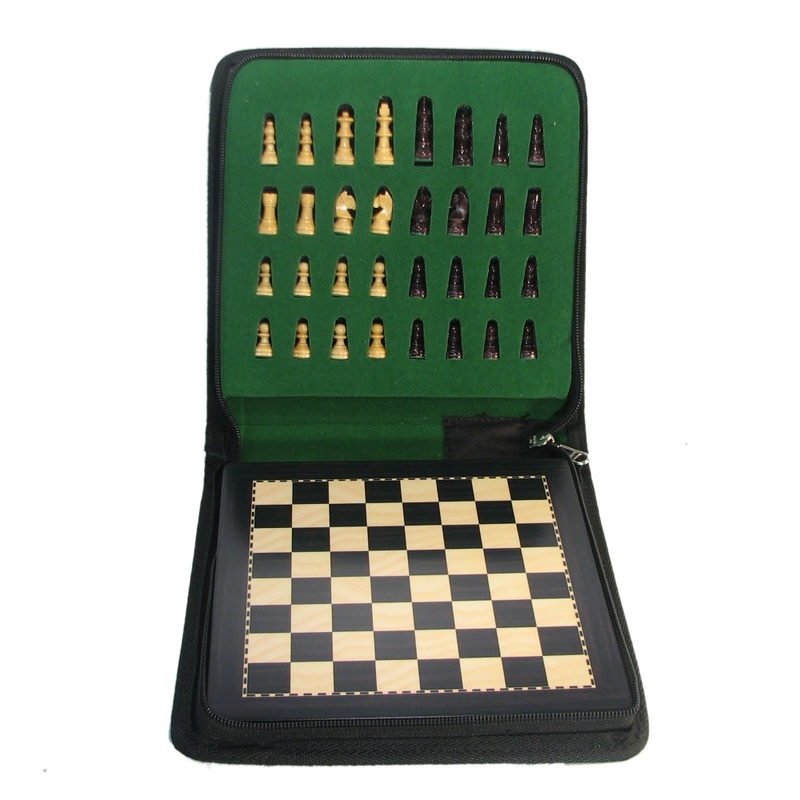 In some cases a completely flat chess set is ideal; it can be stored in a pocket and the flat pieces allow you to maintain a position late in the game. Many players instead prefer three dimensional pieces they can feel as they move them around the board, and in that case the flat sets just will not do. Traditionally, magnetic sets are folding. There is storage beneath the chess board for the pieces. Some have a simple compartment for all the pieces, and others have individual slots for each one. These sets come in a number of sizes and have been in the past the most popular method – but perhaps no longer. What I love about the flat magnetic sets we carry is they have a zippered storage pouch that gives a place to put the pieces during the game when not in use as well as protects the playing surface – both features often lacking from a folding set. These sets are available in several sizes – from a miniature 6″ size to more reasonably 8″, 9 3/4″, and 11 3/4″ sizes based on your needs. Personally, I think the 8″ is great for analysis (if you’re playing by yourself) and one of the larger sizes is best if you’re going to be playing with a friend.